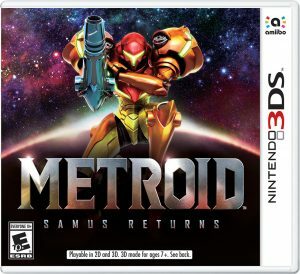 With a stunning lack of any fanfare or celebration, and not even announced during the actual presentation of the show itself, Metroid Samus Returns won the “Best Handheld Game” category at this year’s The Game Awards. It was up against 4 other Nintendo 3DS games, which were all published by Nintendo, but developed by other companies. On behalf of the rest of the staff of Metroid Database, congratulations to MercurySteam, as well as series producer Yoshio Sakamoto, for making one of the best Metroid games ever!